NZBA members can obtain fuel cards for Mobil, BP and Caltex Service Stations from Kiwi Fuelcards. Discount levels vary but are up to a maximum of 10.5 cents per litre. NZBA members click here for more information and an application form. Auto Super Shoppes offer receive comprehensive car servicing and car repair services for all vehicle makes and models including European brands. Branches are located in Auckland, Wellington, Christchurch and around NZ - over 80 Auto Super Shoppes ready to service your vehicle. NZBA members are offered 12% discount off labour and variable discounts off the cost of parts. Warrants of Fitness are charged at $40 plus GST. NZBA members click here for information on accessing the Auto Super Shoppes member benefit. Beaurepaires is the largest Kiwi-owned retailer of tyres for cars, SUVs, 4WD, vans and light trucks. NZBA members receive up to 15% discount on Dunlop and Goodyear tyres. Click here for more information on Beaurepaires. NZBA members click here for information on accessing the Beaurepaires member benefit. NZBA members can access BMW Corporate Advantage Benefits with the purchase of a new BMW. Exclusive finance rates offered by BMW Financial Services. Access to exclusive special offers and promotions. Programme benefits extended to your spouse/partner. Complimentary use of a BMW during servicing. Invitations to exclusive BMW events. Reduced rates on BMW Corporate Drive Day or Track Day. 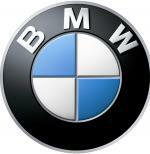 NZBA members click here for information on accessing the BMW member benefit offer. Reward yourself with the many benefits of the Mercedes Benz Corporate Programme. • Complimentary scheduled servicing for up to 4 years. • Total of 4 years warranty and nationwide Mercedes-Benz Roadside Assistance service. • Preferential finance rates and tailored insurance solutions through Mercedes-Benz Financial. Services NZ Ltd, subject to our standard credit approval process. • Corporate Programme benefits extended for full time contract employees. 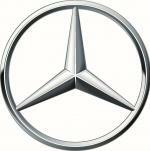 NZBA members click here for more information on the Mercedes Benz member benefit offer. Repco is the largest reseller and supplier in the automotive parts aftermarket in New Zealand. With 84 stores nationwide there's sure to be a Repco store close to you. Repco is open 7 days a week. Click here for more information on Repco. NZBA members receive 10% discount off retail pricing on most items held in stock (excluding specials and one-off promotions). NZBA members click here for information on accessing the Repco member benefit. NZBA members can access corporate rates for vehicle rentals. Click here for more information about Avis New Zealand. NZBA members click here for information on accessing the Avis member benefit. 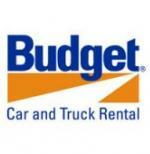 Click here for more information on Budget Car and Truck Rental. NZBA members click here for information on accessing the Budget Car and Truck Rental member benefit. NZBA members can access up to 30% discount depending on the type of vehicle plus substantial discounts on accident excess reduction insurance and airport fees. Discounts are also available in Australia. Click here for more information about Hertz Vehicle Rental. NZBA members click here for information on accessing the Hertz Vehicle Rental member benefit offer. NZBA members can access up to 35% discount off the standard rate. Click here for more information about Thrifty vehicle rental. NZBA members click here for information on accessing the Thrifty Vehicle Rental member benefit.